The perfect gift for a coffee drinker. 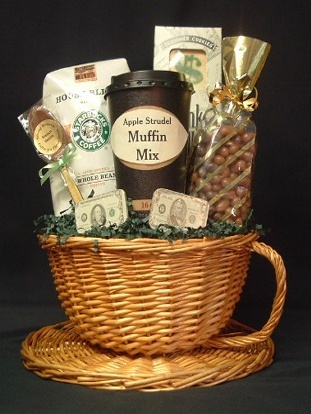 Basket includes two gourmet coffees, a taste spoon, muffin mix, cookies, and sweet treats. This is an ideal gift for an administrative assistant or to someone to say thank you!